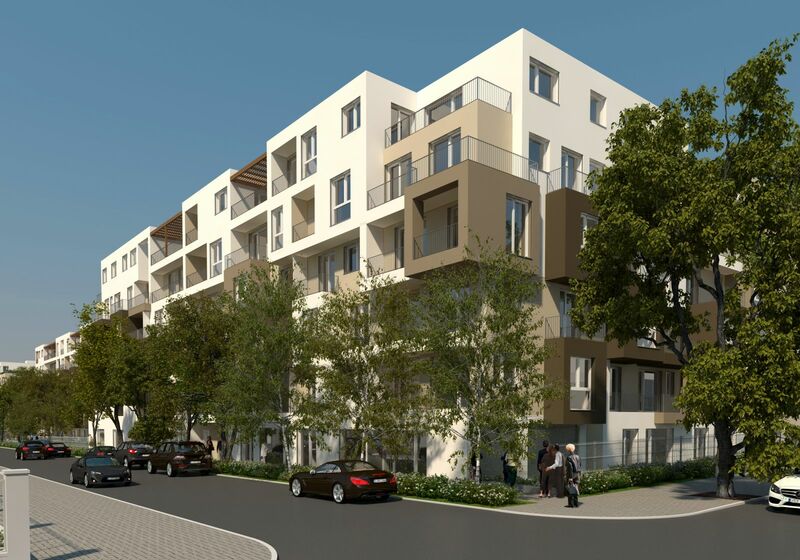 Berettyó 2-8 residential complex will be special in many ways. 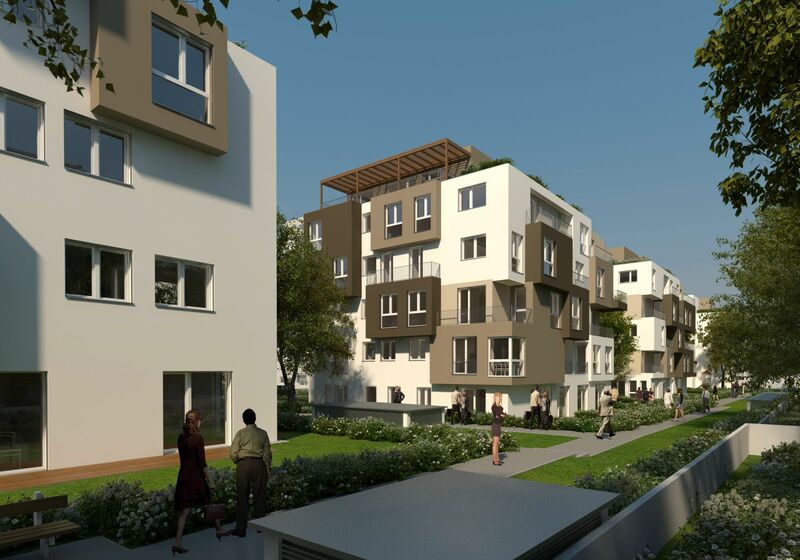 Besides being Metrodom’s fifth residential property development project in the 13th district of Budapest, residents will also enjoy, at the same time, two of the most important and most demanded features of a residential complex: outstanding accessibility by public transportation and a green living environment. Five independent stairwells will be built in the five buildings, encompassing 154 apartments in total, on a plot of a 6,534 sqm primeval garden. Thanks to the five floor, the 5-9 apartments per floor and the 21 to 40 apartment units per stairwell arrangement, independent and homely residential communities will come to exist. Just like all the other residential complexes developed by Metrodom, Berettyó 2-8. features a visual look of special character. The dynamic facades and clear colors lend the building an unique appearance and make it a signature building complex of the area. Like the facades the apartment layouts are also diverse and so are the apartment bearings, allowing that, depending on the time of the day, the apartments receive constant natural light shining through the different windows. Berettyó 2-8. will certainly be popular among families. A high standard playground will not only offer the usual playground equipment of toys and benches but also an area for the small ones to run around or ride their bicycles. Furthermore, a shower and vapor sprinkling arches will also be available to cool down on hot summer days. Dedicated storage rooms will be available for families to store baby strollers and of course stair-free accessibility will also be standard. 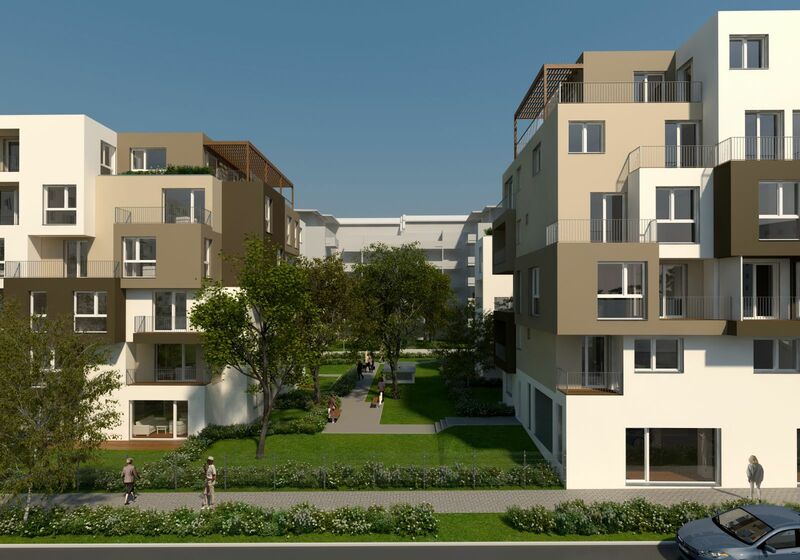 Adults will also make good use of the garden, ground-floor apartments will have an own garden, other residents may enjoy the recreational park or barbecue using the outdoor grill. An underground parking garage on the basement floor and a concierge service placed in buildings B and C, if residents request, will ensure security. Uncompromised comfort will be complete with Metrodom’s expandable smarthome system. Technical data, layout plans and prices of our apartments and storage areas are available on our apartment search page. Apartments in Berettyó utca can be purchased with unchanged, 5% VAT content, for more information, please click here. Parking space now for free with family apartments soon to be occupiable. For the conditions and apartments involved in the offer, along with the layout plans, please click here. The price and location of a given parking bay can be seen on the floor plan based search window. Parking slots are now only available with newly purchased apartments, for further details please contact our property advisors.